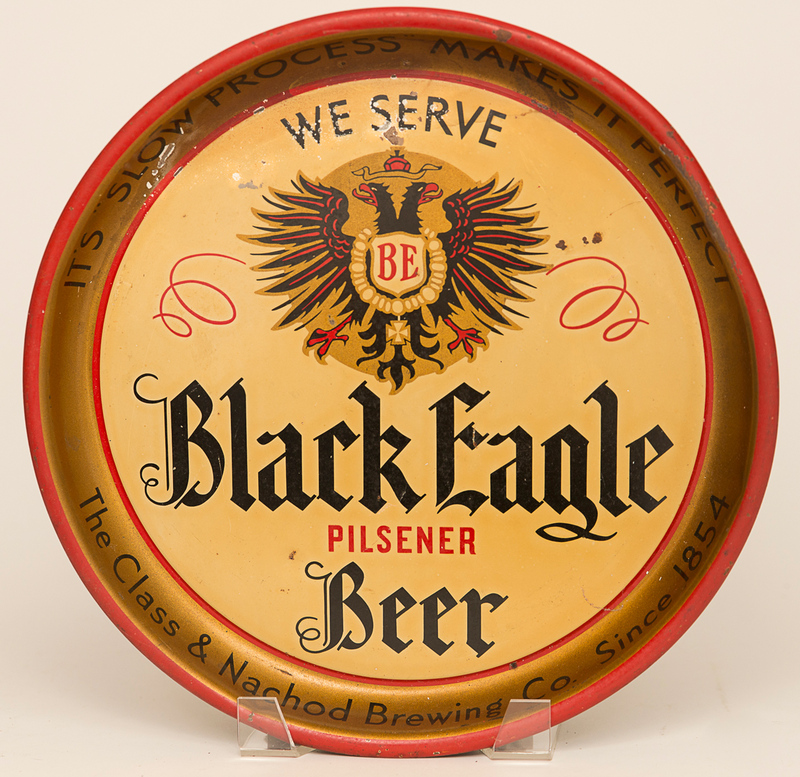 Pre-Pro tin litho advertising tray for Black Eagle Pilsener Beer by the Class & Nachod Brewing Co of Philadelphia, PA. This is a tough to find tray so even a little beat up we expect strong interest. Tray has a dent along the top rim, some yellowing to the finish and a couple small spots of litho loss.